Priced at $27.99, the album will be released on April 27th. Click HERE to order. The internet was filled with countless jokes and pranks yesterday, as the world engaged in the annual April Fools ritual. It seems as if Rush also participated. Maybe. The band posted the following cryptic tweet yesterday which simply contained an image of a presumably blue vinyl record with a faint 4 12 on it. Theories from fans immediately began surfacing, which ranged from the expected (and hopeful) "New Album / New Tour Announcement on April 12th" to the more likely "Hemispheres 40th Anniversary Vinyl reissue announcement". 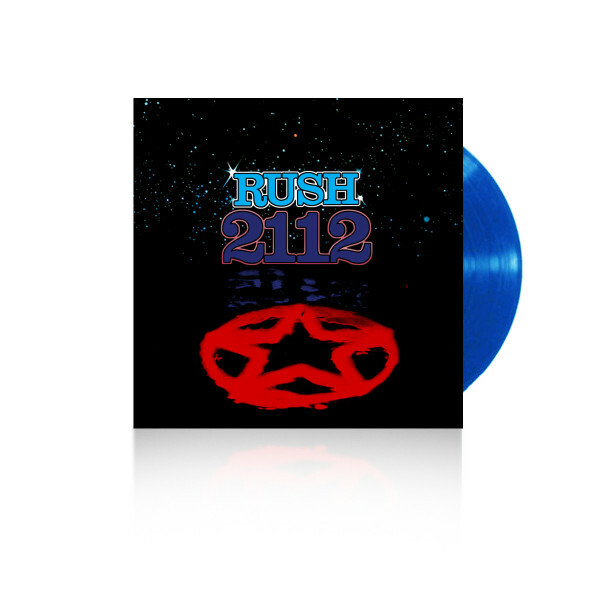 For the record, the "4 12" appears in the font usually attributed to the album "2112" which was released on or about the 1st of April (though a March release date seems more likely - but that's another story). So far, the band has not posted a follow-up to their tweet, which seems to lend credence to the fact that this was not a simple prank. Will the world of Rush fans have to wait until the 12th of April to find out? Time will tell.